Activist and journalist Atilano Román Tirado. Photo: Univisión. 10/27/14 (written by ggaona-hernandez) — A rather brazen and public attack on October 11 left another Mexican journalist and activist dead. The attack occurred on October 11 when two armed men entered a radio station in Mazatlán, Sinaloa, and killed Atilano Román Tirado at point blank range. Román was in the middle of a live weekly radio program he held, “Asé es mi tierra” (“Such is my land”), hosted on Radio Fiesta Mexicana when the gunmen entered. Although the radio recording was seized by authorities as part of the investigation, reports indicate that the other broadcasters and media members in the room yelled “They killed him! They killed him!,” which was broadcast live across the radio stream. Román, who was shot in the face, was rushed to the nearby hospital where he passed away soon thereafter. Because the gunmen did not turn their weapons on the witnesses in the broadcasting booth, authorities believe this was an attack strictly targeted towards Román because of his role as an activist in Sinaloa, and not because of his work as a journalist. For one, although attacks against journalists are not uncommon in Mexico, attacks against radio journalists are largely outside of the norm. Meanwhile, surveillance videos also show the gunmen following Román by car from his house through Mazatlán to the radio station. Román’s work as an activist included leading the Displaced Persons of Picachos group, which emerged when more than 800 families’ farm lands were flooded by the government following the criticized creation of the Picachos dam in Sinaloa in 2007. Román was an advocate for better treatment and compensation for the families and farmers who lost their land and houses. As Reporters Without Borders writes, “A frequent critic of the local authorities in his programmes, Román… had received threats in the past in connection with his role in organizing marches and protests to demand compensation for the lost land. 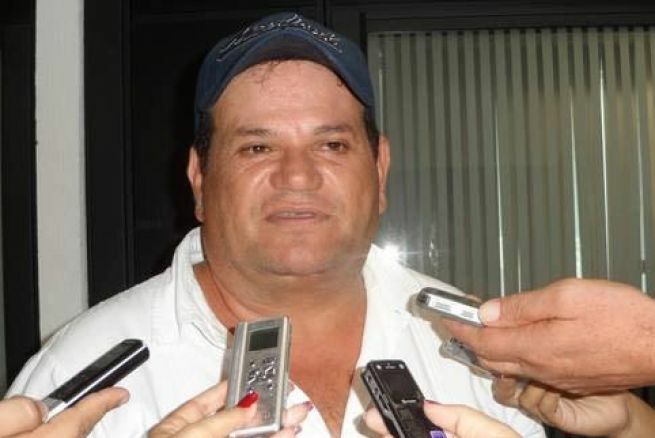 The day before Román’s murder, another Sinaloan journalist was targeted when Nueva Prensa director Jesús Antonio Gamboa Uriás disappeared the night of October 10. His body was found 13 days later in Ahome, Sinaloa. Like Román, Gamboa, too, was an activist in the social scene, having played a leading role in repealing the State’s “Gag Law” (“Ley Mordaza”) in August 2014 and demanding journalists’ access to public information and investigations. In response to Román’s murder on the heels of Gamboa’s then-disappearance, Reporters Without Borders Deputy Programme Director Virginie Dangles spoke out, saying, “We urge the authorities to conduct a thorough investigation into Atilano Román’s shocking murder and to bring those responsible to justice.” She continued, “Murdering a presenter in a radio studio while he is on the air shows that violence against journalists knows no limits in Mexico.” Sinaloa Governor Mario López Váldez also chimed in on the matter, proclaiming that justice would be served against those responsible for Román’s murder. “Asesinan en Sinaloa a locutor cuando transmitia su programa de radio.” Univisión. October 13, 2014. Associated Press. “Mexican Activist gunned down during Live Radio Broadcast.” CBS News. October 13, 2014. “Radio host shot dead during live broadcast.” Reporters Without Borders. October 15, 2014. 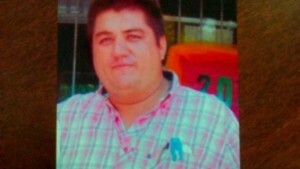 “Director of Sinaloan newspaper reported missing.” Justice in Mexico. October 18, 2014. Nueva Prensa Director Jesús Antonio Gamboa Urías. Photo: El Debate. 10/18/14 (written by cissel) — Another Mexican journalist has been the target of violence, this time in the state of Sinaloa. Jesús Antonio Gamboa Uriás (39), the head of the politically-charged magazine Nueva Prensa, disappeared the night of October 10, according to a complaint filed by his family with the State Attorney General’s Office (Procuraduría General de Justicia del Estado, PGJE). Speaking from Culiacán, Sinaloa, Iván Gamboa, the brother of Jesús Antonio, stated that the last time his brother was seen was around 11:00pm on October 10 in Ahome, Sinaloa at the local corner store El Paradero owned by Iván. Reports indicate thatJesús Antonio drove away from the store through the streets of the Anáhuac suburb in his own vehicle, and has not been seen since. The PGJE is investigating the case. Some speculation has risen that Gamboa’s disappearance may be politically charged. Not only does Nueva Prensa report on stories of politics and corruption, but Gamboa, who has had over 18 years of experience in media, was also one of the leaders of a movement in August to repeal a law enacted by the Sinaloan Congress. Also known as the “Ley Mordaza,” or “Gag Law,” the law limited access journalists, and the public at large, have to information related to investigations and judicial cases. Gamboa played an active role in gathering hundreds of protestors to a march on August 7, demanding Congress repeal the law, which it unanimously did several weeks later. 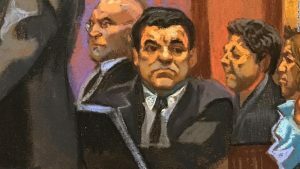 Sinaloa is also home to the Sinaloa Cartel and related organized crime violence, thus the PGJE is investigating the motive behind Gamboa’s disappearance, whether political, cartel-related, or other. Gamboa’s disappearance comes just one month after a story caught national news of the assault of a young female reporter in Guanajuato—an attack allegedly ordered by the town’s mayor and municipal police force. Such events add to Mexico’s already notorious standing as one of the most dangerous countries in the world for journalists to work. In April 2014, for example, the Committee to Protect Journalists (CPJ) ranked Mexico in the bottom seven countries worldwide in its effort to punish and investigate crimes against journalists. Specifically related to Gamboa’s case and the previous incident in Guanajuato, organization Artículo 19 reported that of the 330 acts of aggression against journalists reported in 2013, 60% were committed by government officials. “60% de las agresiones a periodistas en México, de funcionarios: Article 19.” CNN México. March 18, 2014. Witchel, Elisabeth. “Getting Away With Murder.” Committee to Protect Journalists. April 16, 2014. “Body of kidnapped journalist found outside of Acapulco.” Justice in Mexico. June 7, 2014. “El Congreso de Sinaloa deroga por unanimidad la ‘ley mordaza.’” CNN México. August 21, 2014. “PGJE investigating mayor and municipal police of ordering attack on journalist.” Justice in Mexico. September 21, 2014. Redacción. “Familiares reportan desaparacíon del periodista Jesús Antonio Gamboa Uribás in Sinaloa.” SDP Noticias. October 13, 2014. Redacción. “Reportan desaparación de periodista en Ahome, Sinaloa.” Proceso. October 13, 2014. EFE. “Journalist reported missing in northwestern Mexico.” Fox News Latino. October 14, 2014. Artículo 19. “Autoridades mexicanas deben investigar desaparición de periodista sinaloense.” IFEX. October 17, 2014.